Adding a video into your design is a great way to have all media accessible in one location and provide a nice background to capture the attention of your audience. 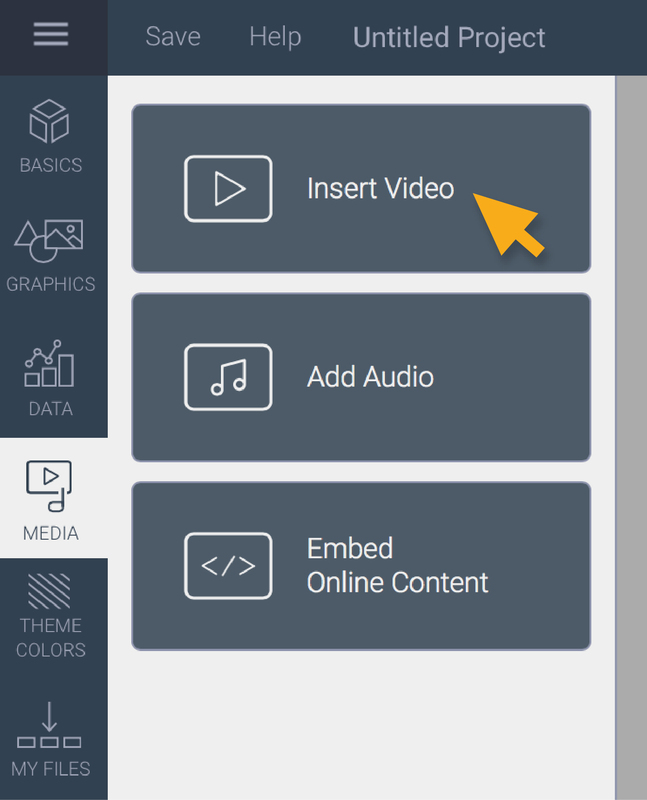 It is easy to add a video into your Visme design. 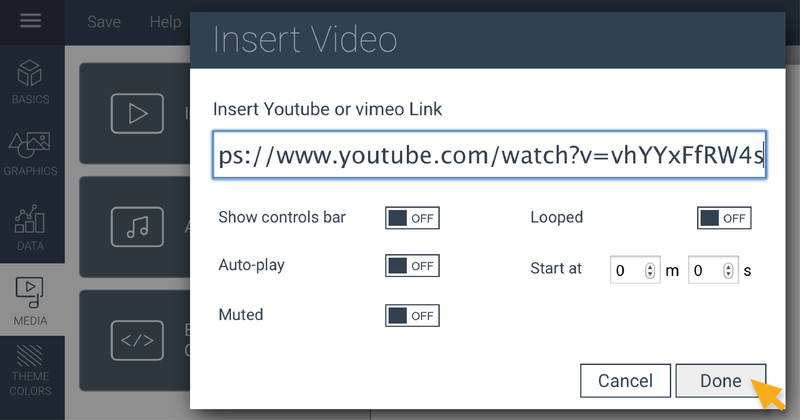 Simply select Media on left panel, then click on Insert Video. Copy the URL of the YouTube or Vimeo video that you would like. Once you finished, click Done. Your video will now appear in your project and it will be playable when you publish. 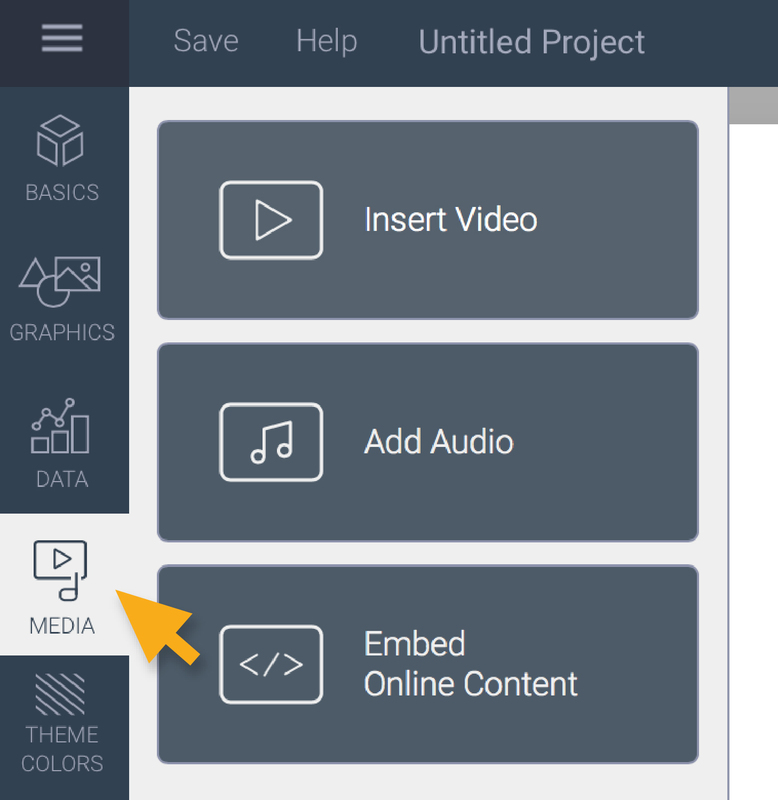 – You can resize the video after you video has been added to the project. – You will need to preview or publish to play the video.